Apple is expected to launch an upgraded iPhone X this year, as well as a smaller and larger device. The event will take place on Wednesday morning at 10am pacific time (7pm South African time) at the Steve Jobs Theatre in California. The livestream will be made available here. At the launch of the iPhone X, Apple CEO Tim Cook described it as "the biggest leap forward since the original iPhone". 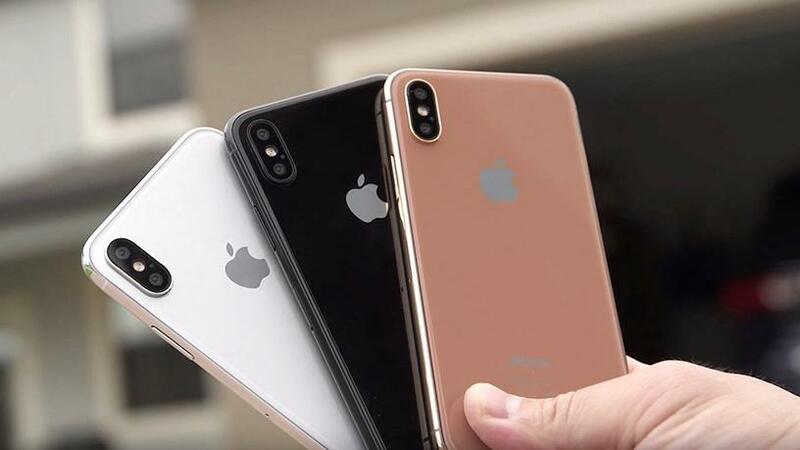 This year, Apple is expected to unveil three new fully redesigned smartphones, as there was not much difference between the iPhone 8 and iPhone 8 Plus and their predecessors. Several information leaks suggest the new devices will feature an upgraded iPhone X, an iPhone X with a larger screen, and a more price-sensitive device that will have all the features of the iPhone 8 but look like the iPhone X. However, South Africans can expect these prices to be much higher than the recommended retail price when they go on sale here due to shipping and taxes. Last year, the lowest-spec iPhone X retailed for $999 in the US, but R20 499 here. The iPhone X was the first Apple smartphone to get an edge-to-edge OLED display and no home button or fingerprint sensor. The anticipated iPhone XS and its larger counterpart are also expected to have this type of screen, while the "cheaper" phone will get an LCD screen. The iPhone X also introduced the notch trend, which several Android manufacturers have since jumped onto. The small black bar at the top of the screen houses the front-facing camera and speakers. MacRumours says: " Apple's 2018 iPhone line-up will consist of three devices: a 5.8-inch OLED device that's a follow up to the current iPhone X, a larger 6.5-inch OLED device that's a sort of 'iPhone X Plus', and a 6.1-inch device with an LCD screen and a lower price tag that's meant to be Apple's more affordable smartphone. "All three of the iPhones will feature nearly edge-to-edge designs with a notch that houses a TrueDepth Camera System, putting an end to the Touch ID Home button in Apple's flagship iPhone line-up. While the three iPhones will have almost non-existent bezels like the iPhone X, the 6.1-inch iPhone's bezels may be slightly thicker due to the LCD display instead of the OLED display." A new Apple Watch, AirPods and Apple Mac are also expected to be announced at the event this week.